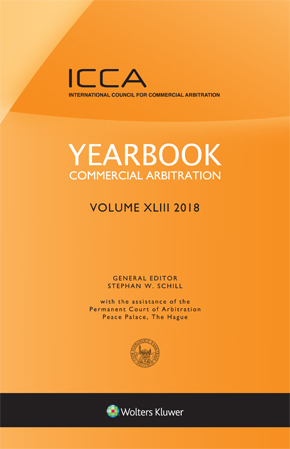 The Yearbook Commercial Arbitration continues its longstanding commitment to serving as a primary resource for the international arbitration community with reporting on arbitral awards and court decisions applying the leading arbitration conventions, as well as on arbitration legislation and rules. an extensive Bibliography of recent books and journals on arbitration. The Yearbook is edited by the International Council for Commercial Arbitration (ICCA), the world’s leading organization representing practitioners and academics in the field, with the assistance of the Permanent Court of Arbitration, The Hague. It is an essential tool for lawyers, business people and scholars involved in the practice and study of international arbitration.